A vision that comes from the heart. 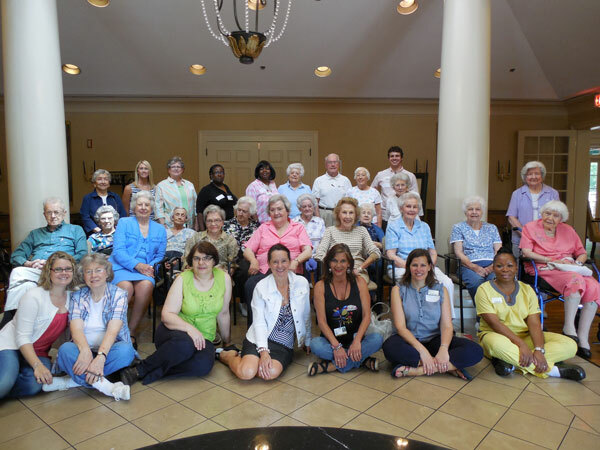 Laurel Crest is a not-for-profit faith-based Life Plan Community in West Columbia, SC that is part of Presbyterian Communities of South Carolina. We offer Independent Living and a full continuum of on-site care – Assisted Living, Nursing Care and Memory Care are all available right here, in case you ever need them. Our community was founded on the belief that life is more fulfilling when we’re connected to others and to our surroundings. For these reasons, we fully appreciate our modest size and unique setting on the banks of the beautiful Saluda river. This is a place where neighbors quickly become friends, where a tenured staff knows residents’ names and preferences and where, in turn, all feel like family. Laurel Crest is an inspiring place for social, intellectual, and spiritual growth. The beginnings of Laurel Crest are deeply rooted in the vision of members of First Presbyterian Church of Columbia. A dedicated and visionary group set out to create a community in which people of all faiths could enjoy the perfect balance of vibrancy and security in retirement living. Laurel Crest opened its doors on August 29th, 1994 and on January 1, 2018, the community became part of the family of Presbyterian Communities of South Carolina, a well respected not-for-profit faith based organization started in 1958 that now has six campuses across the state. As a sister property of Presbyterian Communities of South Carolina, the vision and goals of the group from First Presbyterian Church in Columbia will continue to be supported at Laurel Crest. Residents of Laurel Crest can be assured that they are members of a special community in which each person’s evolving needs are met, with thoughtful attention to the whole person: social, physical, emotional and spiritual. We are a compassionate Christian ministry dedicated to enriching the quality of life for seniors of all faiths. Learn more about our unique retirement community by completing the form on this page.